You’ve made it to Wednesday on the week before a long weekend! Which means, it’s really Thursday, if my math serves me correctly. In other news, pervasive fatigue seems to have taken over all of my people. Everyone is dragging, including myself. Honestly, I think this may have something to do with the fact that my boyfriend is broken. By boyfriend, I mean my coffee maker, and broken referring to the fact that all it seems to do now is crank out espresso like sludge. This isn’t necessarily a bad thing, but it’s quite distressing. I think everyone is long overdue for a little vacation. I’m getting ready for a road trip up the coast to Portland and Seattle at the end of this week, so look for those adventures soon on Watch Me Juggle! Continuing on to this week’s Five Things, I’ve been loving the articles on The Bold Italic lately. It’s quirky, San Francisco-specific pieces make me laugh and give me a little something to think about at the end of the day. Where else would you find trite little gems like this? Yes, they are Haikus inspired by all the different neighborhoods in San Francisco. Concise and accurate, my favorites have to be those depicting the Mission, Fisherman’s Wharf, and North Beach. Click the picture above to read them all! 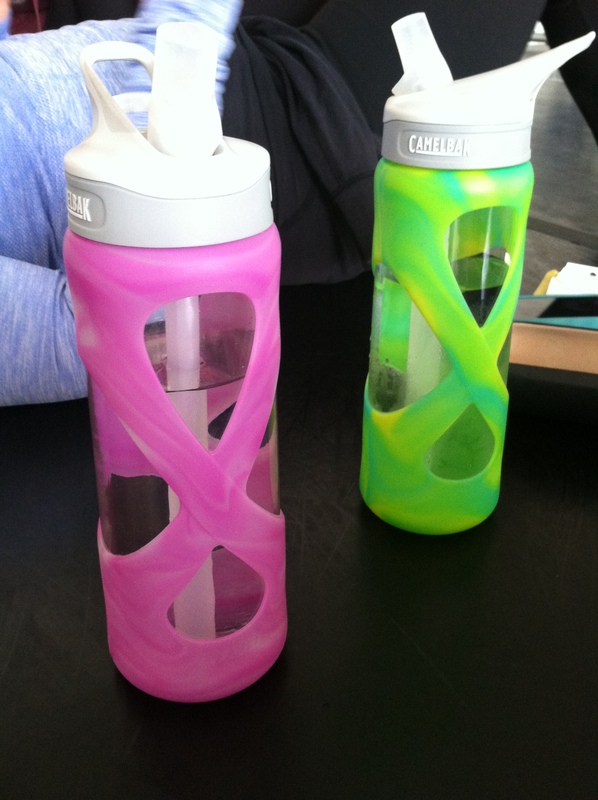 I’ve featured my beloved glass Camelbak water bottle on Five Things before, however, the fabulous boss-lady liked mine so much she purchased its twin at Athleta recently. So now we can mix up our water bottles as well as our coffee tumblers (which are also matching). Excuse my giant man hand. Word has gotten out that Miss Eva likes candy, specifically gummy worms/bears. I have received multiple packs of gummies from my students over the last weeks and couldn’t be happier. 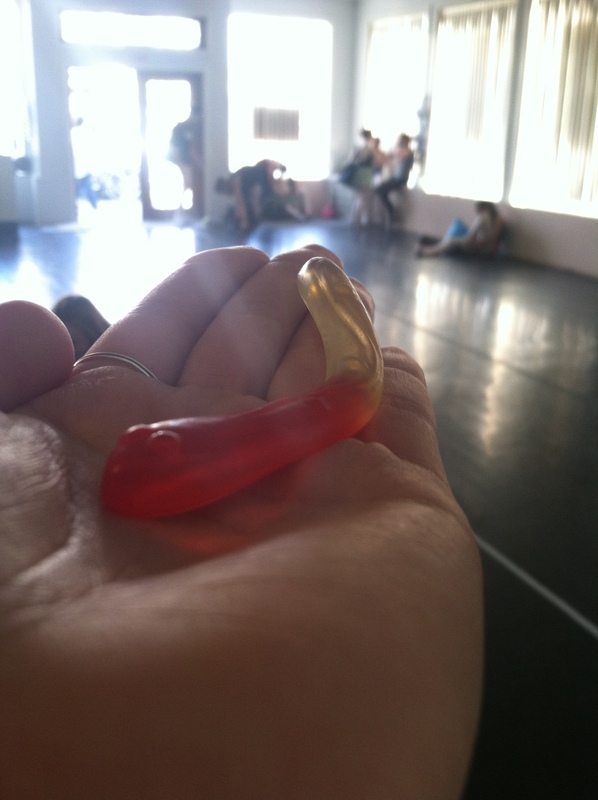 Pictured above are Gummy Rattlesnakes, delivered by one of the fantastic mothers at my school. So thoughtful! I was very amused by the level of detail on this little Haribo candy- look closely and you can see the eyes and a little squiggle design on the body. Too bad I had to eat it. Speaking of cute things, I was tooling around Baby Gap the other day, buying a little something-something for the little chunk I’m finally going to meet in Seattle this coming weekend, and I found this! 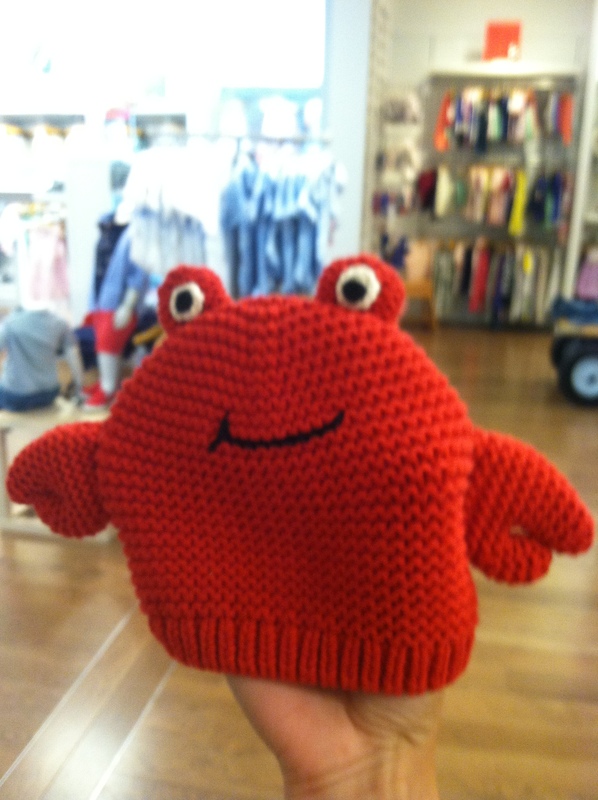 It’s a knit crab hat. I just about died. Too bad I don’t know a child with a head small enough to fit in it, or I would have bought it in a heartbeat. I’m excited to announce that it’s peony season once again! 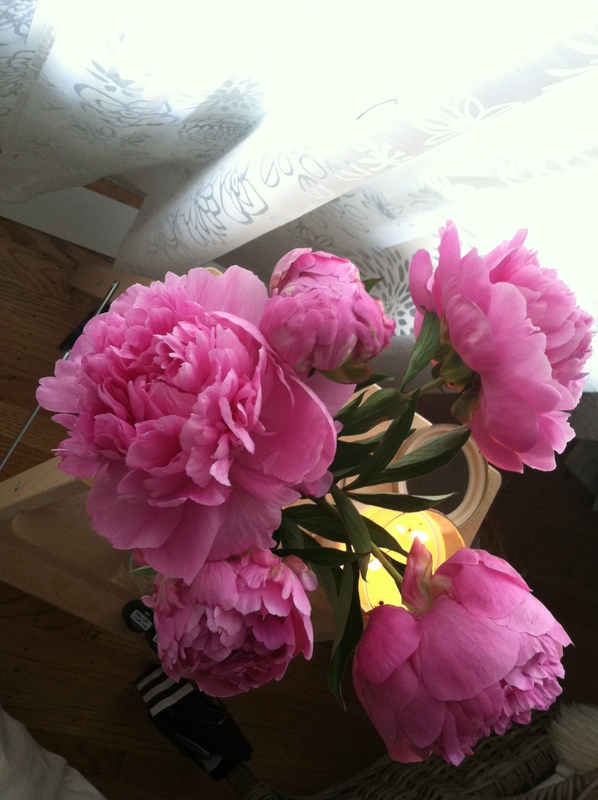 I celebrate peony season the way other people celebrate football season. It’s just really exciting. I love those gorgeous flowers, especially the deep, wine colored blossoms. They’re the Scarlet O’Hara of the flower world. Yes, I just wrote that. I’m not ashamed. So excited to see you this weekend! !